 Sustainably sourced Cornish Lobsters delivered to your door by the UK's original online fishmonger, available for next day UK delivery. One of our specialities, Cornish lobster is recognised as the finest flavoured lobster in the world! That sounds like a bold statement but we firmly believe our lobsters are the sweetest and richest available. We source our lobsters from small inshore day boats that fish the clear blue waters of the Cornish coast, working closely with skippers like Ian of the Three Jays in Newquay. We provide the boats with our filleting waste and they land direct to us. Lobster Bisque - The Easy Way!  This page is reproduced by kind permission of the Seafish Industry Authority. Fish can be sold whole or cut into fillets, steaks or cutlets. Most fishmongers and supermarkets will skin, clean, bone and fillet any fish for customers. It is convenient to classify fish as white, oil-rich or shellfish. Many people have no idea how to handle a lobster. This page is intended to be a brief guide for the uninitiated and includes instructions on cooking lobster. just thought I'd drop you a quick email to let you know our order arrived on Saturday morning. I opened the box and it smelled like Cornwall, the sea. The mussels were superb in the mariniere sauce and the lobster thermidor was fantastic! We were treating ourselves as it is our 26th wedding anniversary tomorrow and to be honest, we prefer to buy the very best ingredients and cook ourselves than go to a restaurant and be disappointed. We were delighted with the quality of the fish, as always. I have ordered many Lobsters from you and never been disappointed. This time I added mussels - I have to say they were the best mussels I have had since we lived in Nova Scotia - Indian Point were reputed to be the best in the world but yours more than matched them. Fabulous. Thanks once again, I look forward to ordering again very shortly.